Is one of your financial goals getting out of credit card debt so that you can start directing that money toward something more fun like a new home, college education or retirement? Throwing away money on credit card interest is an incredible waste. Make a list. I listed all of my accounts in order of interest rates, starting with the highest. Set a fixed payment. I started paying the minimum on all cards except for the one with the highest rate. I paid as much as I could afford on that account, initially starting out with a fixed $200 per month payment. Look for promo offers. 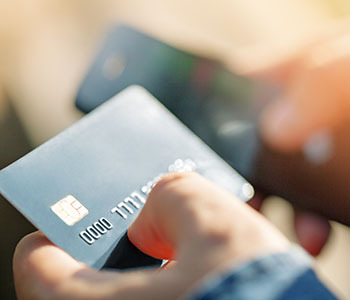 When I received an offer to open a new card with a 0% promotional interest rate on balance transfers, I applied and received a card with a $2,000 credit limit. Incorporate balance transfers strategically. I transferred $2,000 from the highest rate card to the new card but kept paying the highest amount on the original card. Roll payments together when an account is paid off. Once that card was paid off, I added $200 to the amount I was paying on the card with the next highest interest rate. Mark your calendar. I marked my calendar for when the 0% promo rate was to expire and a month before, I opened a new 0% card and transferred the balance over. Focus on cards charging interest. I continued to pay down my other cards that charged interest with gusto. Use windfalls. Anytime I came across extra money such as a tax refund or a signing bonus for a new job, I sent the money straight toward my highest interest rate credit card. Keeping everything at 0%. Eventually, I was just left with the balance on the 0% card. I continued to pay it down aggressively, and when the promo rate expired, I continued to open new accounts at promo rates to transfer the balance. Enjoy freedom. Within about five years, I was debt free. First, every time I applied for and opened a new account, my credit score took a hit. This only worked for me because I had excellent credit, which I maintained through on-time payments for all my debt, including my student loans, car payment and even utilities. Second, each balance transfer incurred a fee that was typically a percentage of the balance I was transferring. I had to make sure the interest I was saving by transferring the balance was more than I paid in a balance transfer fee. Finally, I had to actually stop using credit cards in order for this to work. Once I was out of the debt, I did go back to using credit cards, but I kept a close eye on the balance so that I was able to pay it off each month. If your credit isn’t great, you may not qualify for low promotional rate cards. If that’s the case, then consider calling up your credit card companies and request that they lower your rate. You may even suggest that if they lower your rate, you’ll transfer other balances onto that card. Remind them of your on-time payment history and threaten to transfer your balance away if they don’t work with you. The key to success here is never wavering on that large payment amount. Being strategic about how you pay off your cards can also trim months or even years off your debt. Use this Debt Blaster to calculate the difference it will make.